For centuries, Mexico has been considered the realm of monsters best left alone. A land dominated by packs of Wild Vampires and rumored to be the home of Vampire Kingdoms in the south. Most of the northern civilizations have stayed away, but over the last 20 years, a growing number of heroes, vampire slayers and adventurers have been waging something of a secret war against the undead. As that battle escalates, stories of heroes, vampires and entire human populations enslaved by the undead or penned, raised and slaughtered like cattle, are starting to leak out. Come see for yourself if the rumors are true and join the battle for humanity in Mexico. Hero Vampire and Deluded Vampire optional player characters. Chupacabras, Mind Slaves, henchmen and other vampire protectors. Vampire Hunter O.C.C., Reid’s Ranger O.C.C., and other heroes. Vampire slaying weapons and gear, riding animals and monsters. The city-states of El Paso and Ciudad Juarez described. 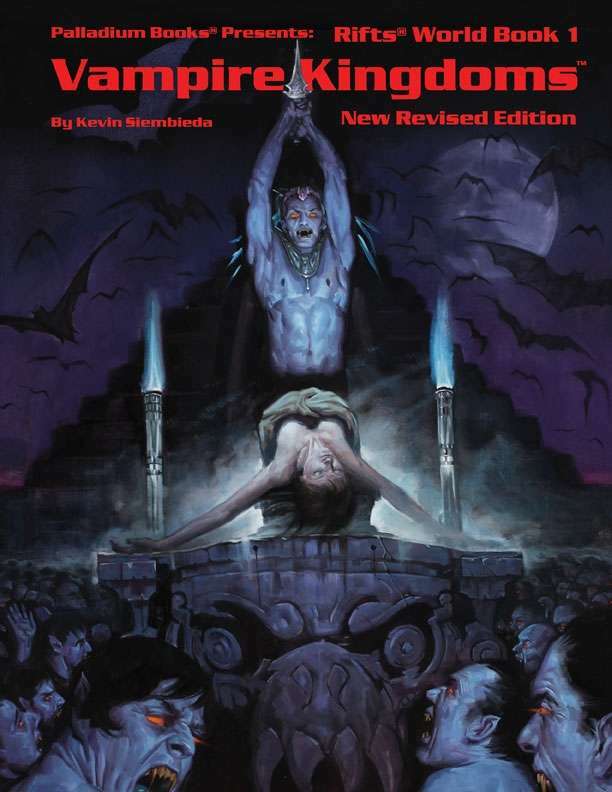 Town creation rules and tables, and the hold vampires may have over them. Ideas for adventure, combat and much more throughout. 224 pages, written by Kevin Siembieda. Does this edition still have the travelling show rules? That was one of the few things I really liked about the original.